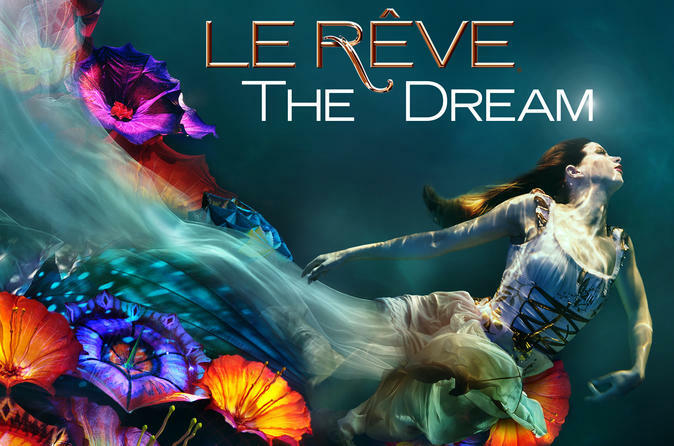 Head to Wynn Las Vegas to enjoy a specular performance of Le Rêve - The Dream! The Wynn Theater is an aqua theater-in-the-round, so you'll have great views of the stage no matter where you sit. Sit back, relax and watch as humorous and playful characters showcase a dream-like story of love and loss. The ever-shifting stage rises and falls as performers dance, cavort, swim, dive and interact with the audience. Book a seat in the Splash Zone to get right up close to the action! The most memorable act of the evening is surely the high dives; just when you think the performers can't go any higher, they do! Click on the View Additional Info below for details of seating zones. Please note: Reservations can only be made within 120 days of the actual show date. Special Offer - Save up to 10% on Grandview Seating compared to the local operator's prices for select shows through November 20, 2018! - Book Now!